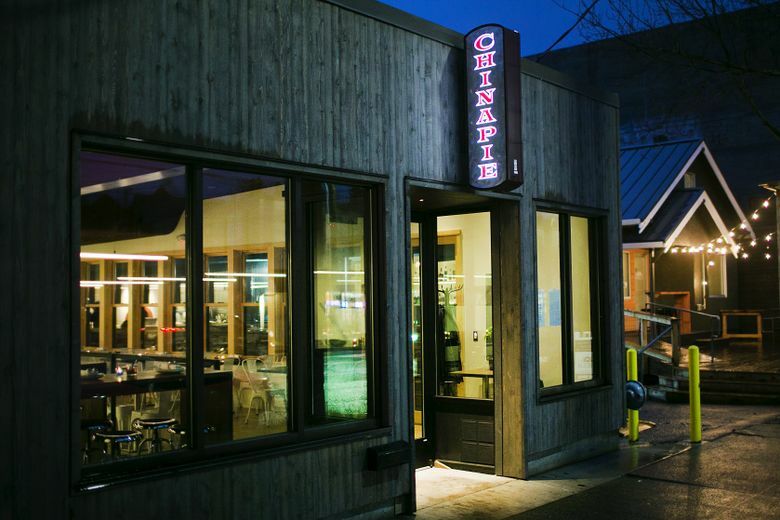 The restaurant’s concept is quirky and fun, fitting right in Fremont. Oscar and Felix. Bert and Ernie. Frodo and Sam. To that list of odd couplings you can add pizza and dumplings. That’s the idea driving the new Fremont restaurant ChinaPie. Sounds a little weird, but it works better than you’d expect. The pizza is great, the dumplings aren’t bad, and a handful of eclectic snacks, salads and small plates round out the menu. Vuong Loc, the Culinary Institute of America grad who conceived this Euro-Asian mash-up, is a chef better known for sophisticated French-leaning, Asian-inflected fare; previously at Portage and June, currently at Pomerol, which is right next door to ChinaPie. Loc says he has long enjoyed making pizza, the space came up for grabs, and his kids, now 10 and 7, count pizza and dumplings (along with sushi and broccoli) among their favorite foods. So, he decided, why not. For a guy who came from Vietnam with his family at age 2 and grew up in Portage, Mich., Loc makes pizza like he was to the Italian Boot born. Each puffy-shouldered pie is dinner-plate size. The crust has pull, crispness and character enough to accommodate toppings that venture from plain cheese or pepperoni to well beyond anything you’re likely to find in Naples. The pepperoni is lately from Molinari, but the bacon and sausage are made in house. (Check out the charcuterie hanging in the cold case on your way to the restroom.) December’s spectacular “Spotted Pig” sported rashers of bacon, rosemary, aged mozzarella and slices of potato. Its crowning glory was a stack of matchstick fries. This month, tiny clams baked in their shells replaced the fries. Re-christened “The Chowder,” the shellfish-spangled pie has been even more popular. 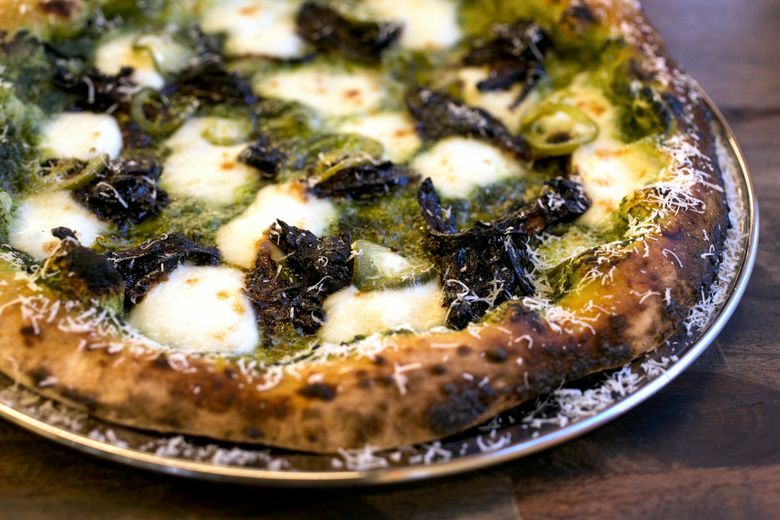 Pizzas might stick close to home — with local shellfish, chevre or foraged mushrooms on top — or take off in any direction. “Uncle Sau” channels Vietnamese flavors. Bits of tender pork and sliced jalapeños dot the fresh mozzarella melting into vivid cilantro pesto. The pork is glazed with nuoc mam caramel, a burnt sugar and fish sauce that you’ll also find next door brushed on seared foie gras, a signature starter at Pomerol. 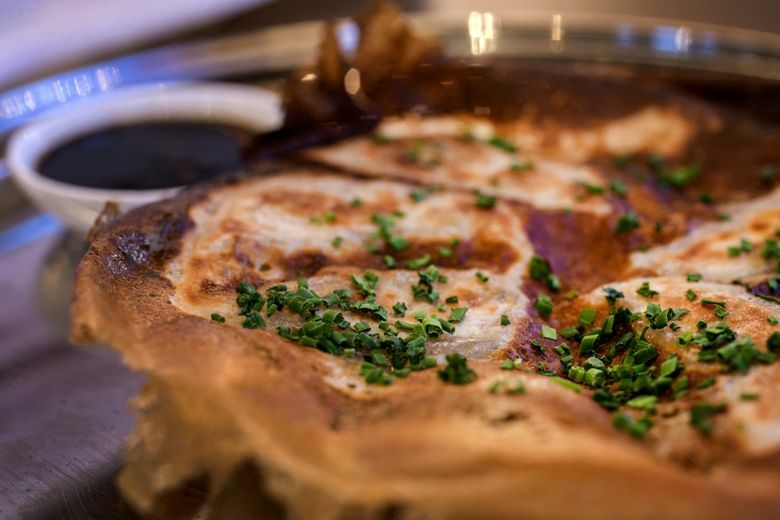 For the same price ($24), you can have foie gras here on “The Pomerol” pizza. Hoisin sauce caramelizes sweetly around the edge and quail eggs peep out from under the fragrant blanket of morbier and mozzarella cheeses speckled with thin slices of duck liver. The pie comes out of the oven to receive a final triumphant flourish of apple slices and baby arugula. While pizza comprises half the menu — 10 different varieties in all — there are just three styles of dumplings: soup dumplings, steamed pork-and-shrimp dumplings, and pot stickers, which were the most successful. Filled with a spicy mix of mushroom, potato and tofu, the pot stickers are pan-seared then steamed in a flour-and-water slurry that unites them under a brittle, delicious cap when they are inverted onto the plate. Black bean and chile sauce perks up the tightly crimped packets of pork and shrimp. The chicken pho soup dumplings pop with ginger and mint, but the pretty pinched pouches were large and unwieldy one time, and so fragile another that they stuck to the steamer bottom, despite the lettuce leaf liner, causing the broth to gush out. It’s worth venturing beyond pizza and dumplings for a glorious chicory, charred carrot and blood orange salad; for sweet slabs of battered and fried Hubbard squash vigorously seasoned with salt and pepper; for confit chicken wings deep fried and doused with fish sauce and a flurry of chilies, basil and cracklings; and for tender baked octopus and tiny oysters splashed with Szechuan chile oil and served with half a charred, salted lime for extra oomph. A plate of Serrano ham was notable more for the pickled vegetables and soft, garlicky cheesy bread smothered in mozzarella and Parmesan than for the ham, which was too thickly carved. What could you possibly come up with for dessert at a place like this? Blood orange push-pops. Not easily shareable but definitely refreshing and far more satisfying than a white chiffon opera cake whose coffee-butter-cream charms were totally eclipsed by the chocolate ganache at its side. Loc looks thoroughly content stretching and shaping dough in his open kitchen, a wood-fired oven at his back. Most nights he looks out over a roomful of youthful diners (a few in high chairs) sharing pies or baskets of dumplings, perhaps sipping an inexpensive Tuscan red, Provençal rosé or Mosel Riesling from big-bowled stemless goblets. Vintage family photos add warmth to a sleek, modern room lit with skinny bars of extruded LED strips. The metal cafe chairs are more comfortable than they look. The bar has electric outlets and USB ports in front of each shiny, silver, swivel stool. Cocktails include Sue’s Lemonade, a fruity, floral gin cocktail that’s not as prim as it sounds, and The Protagonist, a shot of High West Double Rye served neat in a glass spritzed with maple and swirling with smoke from a smoldering cinnamon stick. It’s a quirky concept for sure, but fun, and right in step with its idiosyncratic neighborhood. It should hold plenty of appeal for a dining cohort that is always hungry for something new.